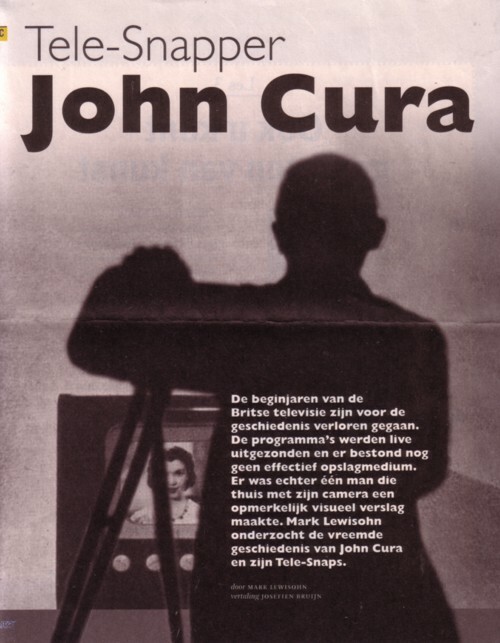 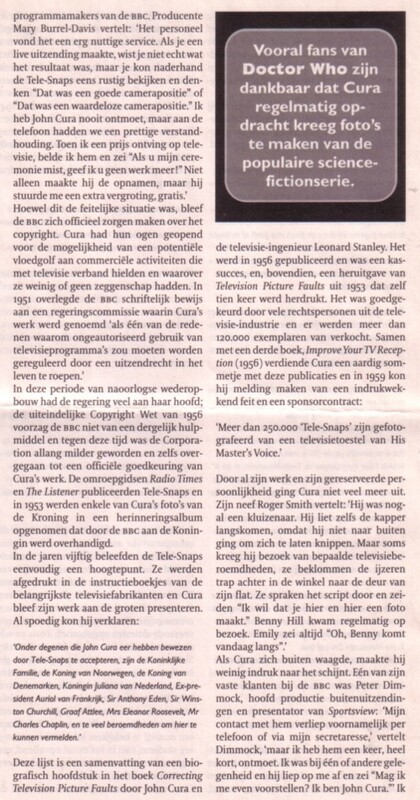 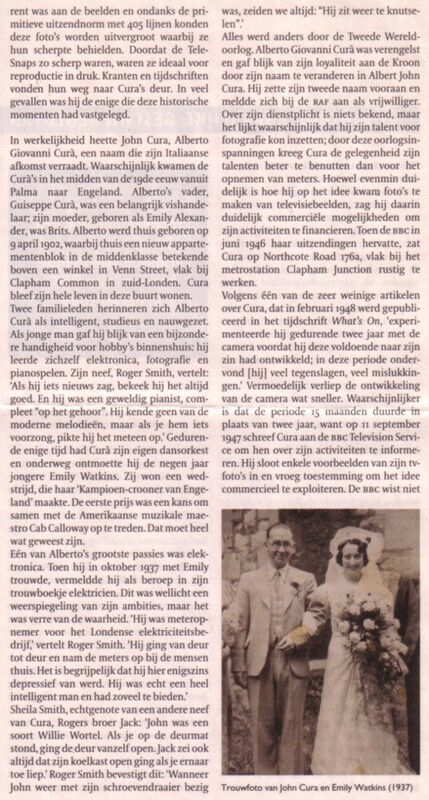 In 2003 (in the 12th issue) there was an article by Mark Lewisohn on the “tele snaps” that John Cura made in the 21 years between 1947 and 1968. 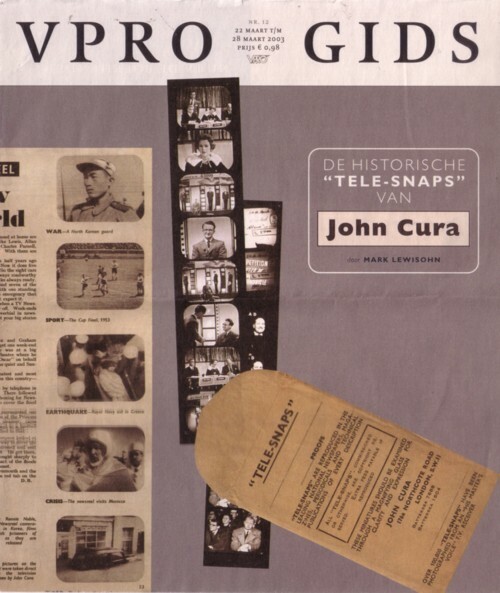 I had never heard of John Cura or his tele snaps, but I found this an amazing good story. 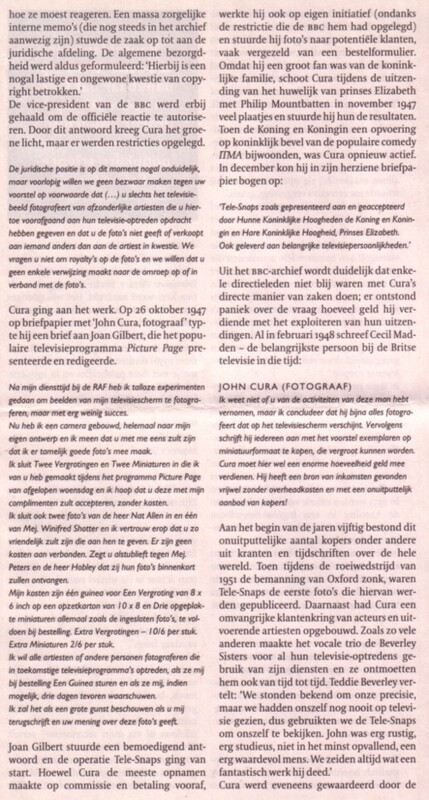 Last night I tried to find more info on the man and his work on the Net, but there was not much. 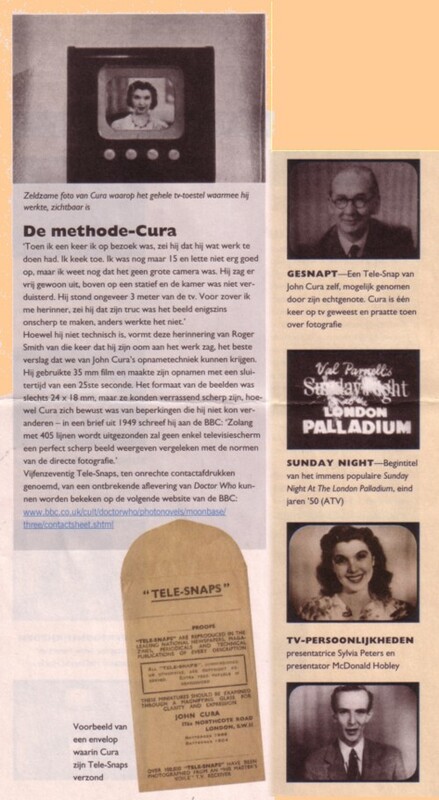 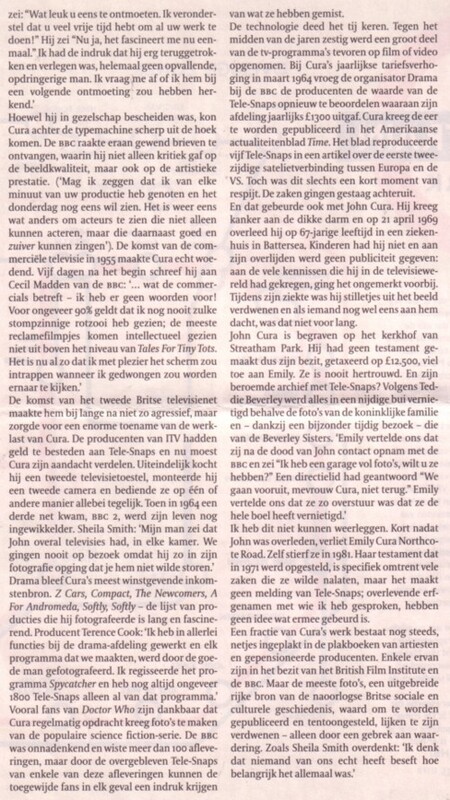 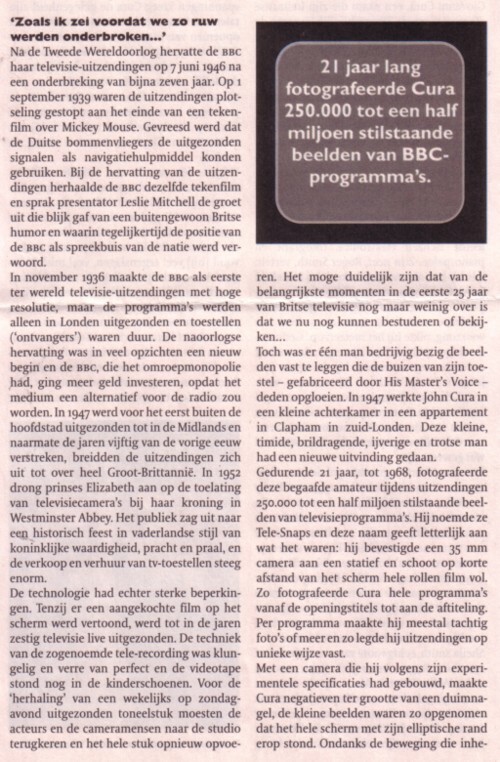 Well, an English version of the article (here) and various Dr Who sites, with some of the most famous tele snaps. 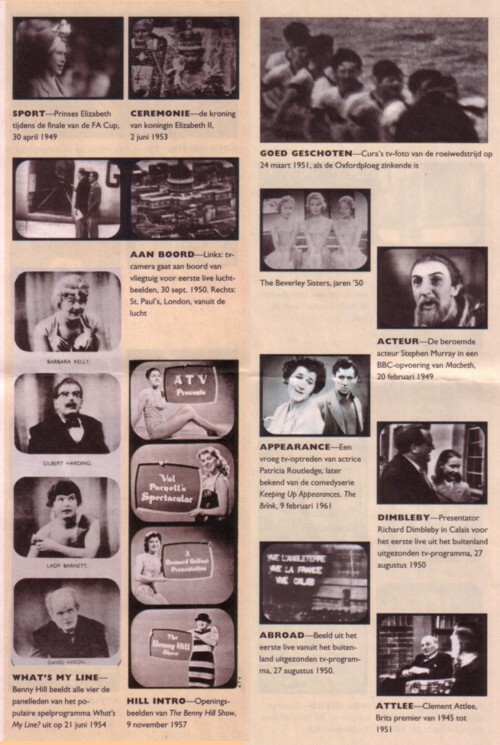 But not what I hoped for: news that said that somebody has found the lost archive, with somewhat between 250.000 and 500.00 photo’s of BBC television programs that have not been recorded otherwise.